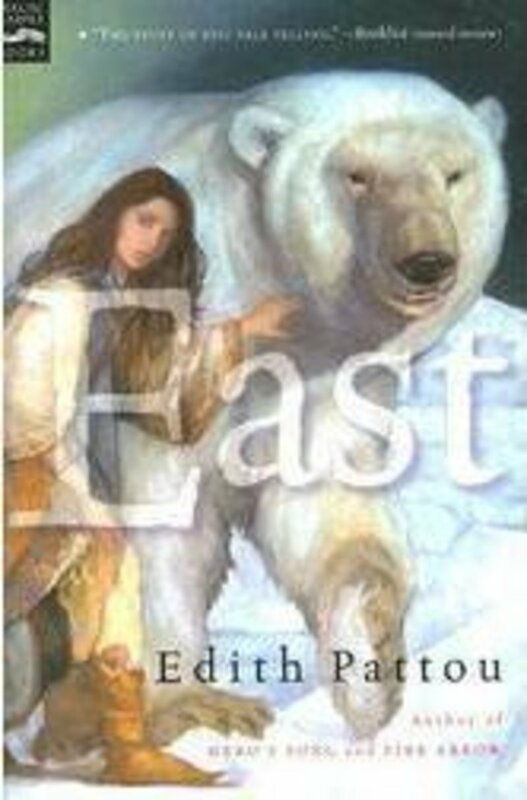 8 of 10: East is a solidly good book, although maybe a smidge too long. East is a retelling of the fairy tale East of the Sun and West of the Moon (if you aren’t familiar with it, don’t worry, neither was I. If you are, congratulations, you are far smarter than I am). Looking at the Wikipedia entry on it, I can see some of the differences between East and the original (oh yeah, I went to grad school where we talked non-stop about judging the quality of websites, and I still turn to Wikipedia first thing. Raise those eyebrows as high as you can). Also, it simplified my life to think of it as a Beauty and the Beast spin-off. Because, of course, I can’t be thinking too hard or anything. The mother, who is incredibly superstitious, thinks Rose should go. But the father and her brother, Neddy, are absolutely against it (well, hello! who wouldn’t be?). Rose, though, has a serious streak of adventure in her and when the bear shows up to get their answer, she grabs a hidden knapsack and takes off with him. He takes her off to his mountain castle where he appears to live alone with only 2 servants. And he doesn’t talk much, as it’s pretty hard for him. But he likes her to talk to him, read to him, or he’ll just sit and watch her weave. Also, at night, someone is coming and getting in bed with her, but the lights are all magically extinguished and can’t be turned back on, so she doesn’t know who it is. She goes home for a visit at one point and while she’s there, her mother gives her a magic candle that will light any darkness. When Rose returns to the castle, she can’t quite quench her overwhelming curiosity about WHO is in her bed, so she lights the candle. And . . .it’s a handsome guy. Who wakes up, tells her she’s ruined everything, since he only needed a girl to stay with him for one year without seeing his human face and he’d turn into a human again (oh, he’s the white bear; in case you missed that part). And then the troll queen shows up, whisks him away and she needs to hunt him down, declare her love for him, and save him from the queen. I’ll say again, I think this book dragged on a bit too long, but it was pretty engrossing. It’s told from the perspective of five different characters, which sometime is a bit much to keep switching between, but everything was well-labeled, so I can’t complain all that much (who am I kidding? I could complain a lot about it, but I won’t). Also, I never felt like the romance between Rose and the White Bear was that well-developed. And, well, you know I like a well-developed romance.You know, something really fine and deep, like Twilight (haha! ha!). This is one of those books that I have more complaints about after I finished it than I did while reading it. Really, it was a lovely read. I love your book reviews. 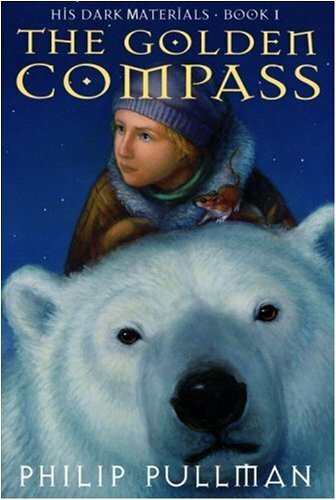 If I had seen this book at a store, I would have assumed it was another edition of The Golden Compass. You know what I mean? I suppose if I had read the title and such, that impression wouldn't have lasted, but still. It's a little too close for comfort. I read East a number of years ago and really did enjoy it. But, I'd have to agree that if it were a bit shorter, it would score better in the all around. I believe the author is from Columbus! This sounds so interesting! Actually, it sounds like East of the Sun West of the Moon is a retelling of the myth of Cupid and Psyche. Have you read Till We Have Faces by C.S. Lewis? One of my favorites books, and another retelling of the same cool story. If you haven't I'll be sure to put it on your next "tell me what to read" entry. Sounds like there's a fair amount of the Cupid and Psyche myth mixed in there too. Sounds a little like Snow-White and Rose-Red, too, but very much like Beauty and the Beast. I recall this one being a bit too long. I really loved Jessica Day George's Sun and Moon, Ice and Snow. These two made me more interested in the original fairy tale. But wait…someone crawls in bed with her in the middle of the night and she doesn't know who it is-did I read that correctly?? hmmm. interesting. I read this along with a spate of other East-of-the-Moon retellings and this one was my favorite! It does seem to be THE current fable to retell. I do think there is a bit of this fable in The Golden Compass, but then: I am one of those horrible soulless souls who actually liked The Golden Compass.